Dan, great post, as always. Thanks for your efforts. 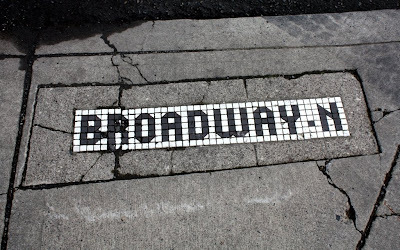 I really dig the last photo, of Broadway. Could you clue me in on where you got it? I'd love to get a print. Many thanks from a fellow Rick Emerson listener and former denizen of Klamath Falls! 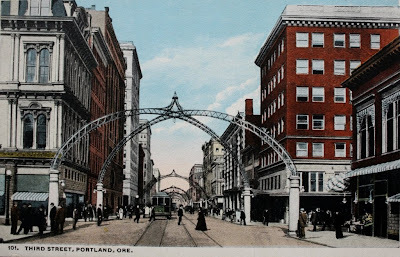 it would be awesome if we could rebuild one replica arch on 3rd now. I just looked at the Broadway pic again and saw that there are trolly or electric bus wires running above the street! 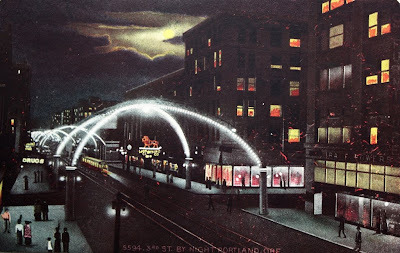 This is surprising since I thought the streetcars were long-gone by then, and I never knew about any electric busses in Portland. Awesome article :D The Paramount Theater is something else now, isn't it? 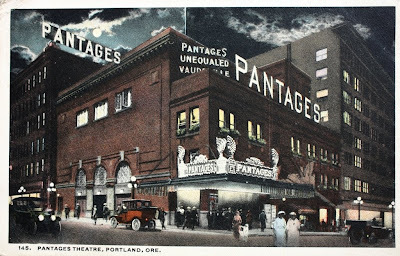 Was the Pantages torn down? 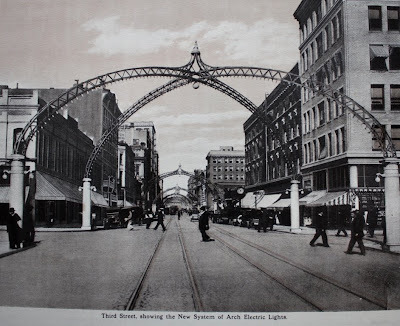 Also, when were the light arches removed? Its too bad the marble (concrete?) supports were also removed. They would have made interesting lamp posts. 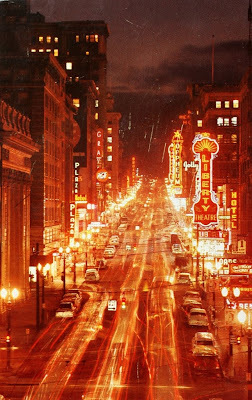 Paramount is now the Schnitzer, and I think just about every other old theater was torn down. 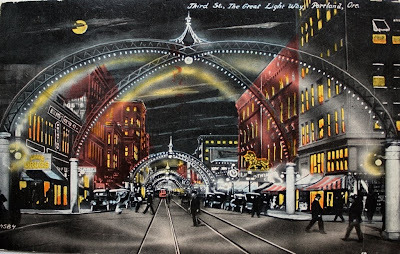 What ever happened to the lighted arches? Do you know? 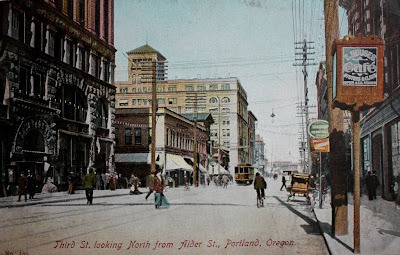 Do you know when that picture at 3rd and Ankeny was taken? 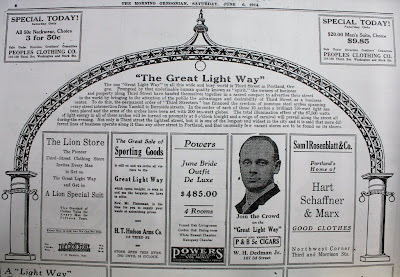 I've been doing some research into my family, and they intended to convert that building into a 1400-seat theater according to an Oregonian article I found. Not sure if that ever happened, or if it ended up later becoming the Paris? I hope to hear more news from you. Thank you so much!